The cottage on Milking Barn Lane at No. 129 still exists, but the lane is no longer a right of way. It was exchanged for access to Pound Copse along Greensward Lane. 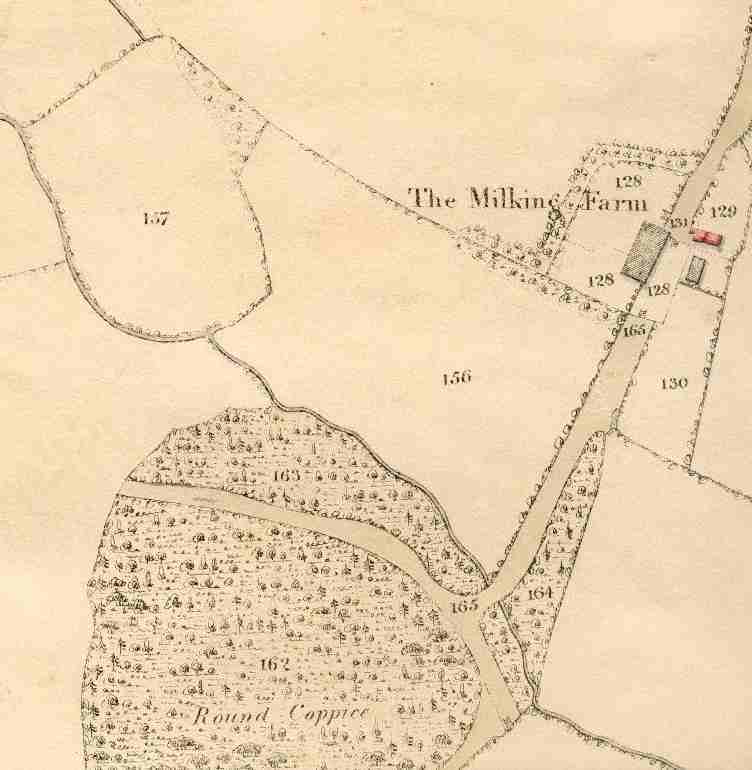 This view shows Milking Barn Lane.